The Law Office of Thomas W. McEvoy has assembled a team of dedicated individuals with a passion for helping others by offering quality, professional service at reasonable rates. We offer free consultations, and personalized attention. We are aggressive advocates for our clients. 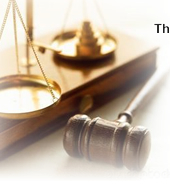 For more information, or for a free consultation, contact The Law Office of Thomas W. McEvoy today. The Law Office of Thomas W. McEvoy has assisted numerous clients with legal services in Schaumburg, Arlington Heights, Barrington, Bartlett, Carpentersville, Des Plaines, Dundee, Elgin, Lake Zurich, Mt. Prospect, Prospect Heights, Schaumburg, Streamwood, Wheeling and other municipalities in Chicago痴 northwest suburbs.